Over the past couple of weeks, your optometric practice has been busy with patients getting their annual exam before they head back to school. While an increase in traffic is good for your practice, profit, and patients, the increased workload may be adding stress to your optometric billing manager who is tasked with managing the claims and payments. 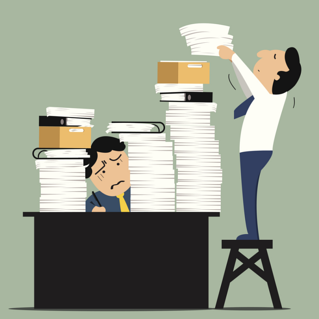 The increased workload could lead to biller burnout, which can result in unpaid claims and your billing manager leaving your optometric practice. While it may be impossible to eliminate the stresses that lead to biller burnout, the ability to identify possible signs may give you the chance to address any problems and give your biller the help they need to continue you to drive revenue to your practice from claim reimbursements. Below are the three possible signs of biller burn out. What’s your daily patient count? Some practices are capable of handling upwards of 20 patients per day; this means that each day your biller has to submit a large amount of claims to the clearinghouse. If there’s any kink in the process, then your claims start to pile up making it harder for your biller to dig themselves out the stack of claims. Rejections are going to happen, that is common. But, as your biller’s workload increases, rejections start to pile up and go unworked, which could result in denied claims due to the biller missing the timely filing deadline or submitting unworked claims to the payer. If you’re finding an increase in claim rejections, consider setting up workgroups to help your biller focus on getting the claims fixed and pushed out the door. 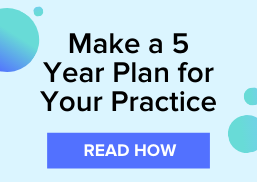 While most optometric practices use clearinghouse solutions to help reduce the possibility of claim denials, these solutions require your biller to manage, track, and work the claims throughout the lifecycle. When your billing manager is over worked, there is a larger chance for denied claims. When your optometric biller is having a hard time keeping up with the demands of an increased workload to reduce biller burnout, consider partnering with a revenue cycle management service to supplement the work. For more tips on how you can improve your claims management efficiency, download, The Definitive Guide To Making More Money On Claims Reimbursements.